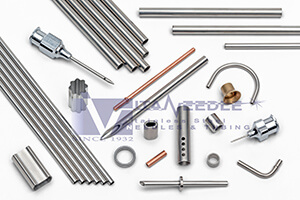 Since 1932, Vita Needle Company has been a premier low cost domestic manufacturer of stainless steel tubing and fabricated parts. As an original FDA charter registered company, our manufacturing expertise sets us apart from medical to industrial applications. We understand the importance of service and high quality as a fifth generation family business. From prototypes to multi million piece orders, we are your solution.